First Looks Forum Eye-opener for a First-time Entrepreneur! 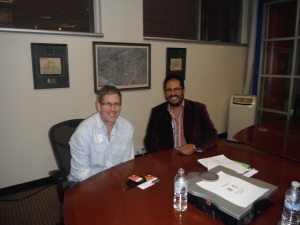 It was a great experience meeting and talking with SXSW Interactive Festival director Hugh Forrest. I’m taking a different approach towards starting up my own self-sustaining business. What long-time and successful business owners were able to offer me, a musician by trade, at the Business Success Center (BSC) and Texas Entrepreneurs Networks (TEN) First Looks Forum in October was an eye opener.